Hi Focus RS addicts, my name is Beau, and I love this outrageous rally refugee. When I was looking for a new car, I needed something that was easy to drive, had a tonne of power, yet have 5 seats and a practical rear boot. It was a straight fight between hot hatches or super sedans. Eventually I picked the Ford Focus RS. It’s one of the leading contenders when it comes to the hot hatch arms race. Everything about it screams overkill. All wheel drive, 260kW from the turbocharged 2.3L inline-four engine and Launch Control are just the tip of the factory spec list. 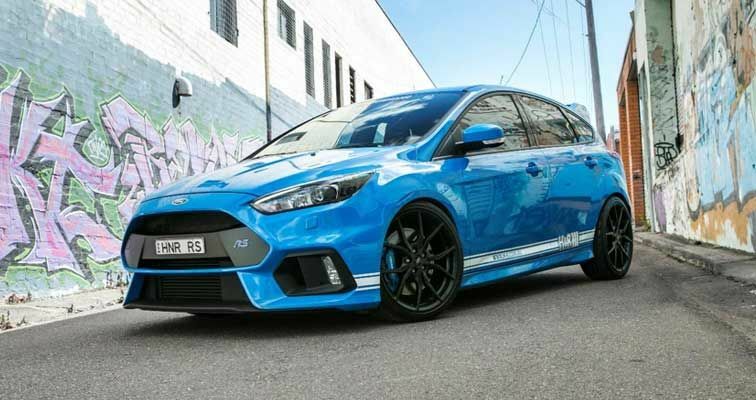 Doing the 0-100kph sprint in just 4.7secs, the Focus RS is ready to embarrass sports cars twice its list price. It’s not shy with its intentions too, the nitrous blue paint sets off the deep scowling front end perfectly. If none of these features interest you, then we can’t be friends. As I work for the Australian distributor of H&R suspension parts, it very soon became a test car for the company. Nearly every day since it left the showroom, we’d dream up mods and plans for it on our lunch breaks. Pretty soon I worked out what we were going to do, but first, we had to set a benchmark hot lap! 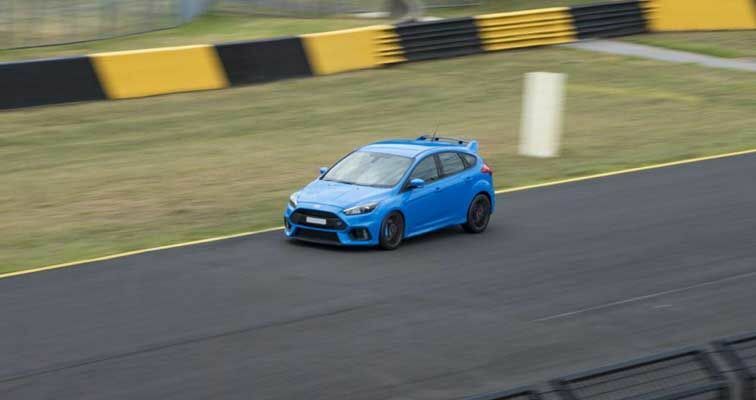 I set a base lap for the Focus RS at the Sydney Motorsport Park on a hot and humid day. While it was ballistic on the streets, around the track it wasn’t as quick as we expected. The stock suspension was stiff and proved fantastic around mountain roads, but at the track it wallowed and struggled for front end grip. The suspension settings were simply not good enough to go 10/10ths at the track. Back at work the stock suspension replaced with the H&R coilovers. The coilovers allowed me to lower the Focus RS to the exact height I needed. The higher spring rates also helps the RS corner flatter, putting down its power more efficiently. H&R’s front and rear adjustable sway bars were also installed to help with cornering. These sway bars are much thicker than factory, and can be adjusted to be stiffer or looser as required by the driver. Once the suspension upgrades were done, the Focus RS also received an aggressive alignment to take advantage of the new parts. While the RS handled and rode even better, we soon discover the limits of the OE tyres. While it was sufficient for the stock RS at the track, we felt that the upgraded suspension is now overwhelming the tyres’ limits. Under spirited driving, the car began understeering once the tyres were heated up, and I soon found that some delamination had occurred. 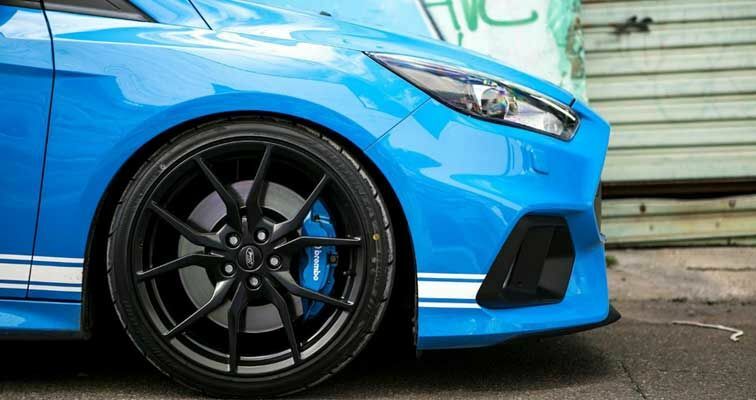 The 260kW engine and all-wheel drive of the Focus RS was giving the stock tyres a really hard work out, so it had to be sorted out immediately. Based on professional recommendations, I ordered Bridgestone Potenza Adrenalin RE003s. Regarded as a high performance street tyre that’s also suitable for the track, the RE003s received lots of great reviews. It wasn’t hard to see why, the difference could be felt immediately. The RE003s has much higher limits than the OE tyres, and the suspension worked really well with the new tyres to maximise grip through corners. I could pin the throttle earlier in the bends, helping the 2.3L engine build up boost to rocket up the road to the next corner. Now that the tyres have a higher threshold, the stock Brembo brakes feel like they stop even harder. The ABS rarely kicks in now, whereas it was intervening half way through a mountain pass ‘cruise’. Once, I was amazed at how I was easily keeping up with a mate’s extensively modified Audi RS3, packing a lot more power than my Focus RS during one of our cruises. At the next coffee stop, he persistently offered me the RS3’s keys to try and have a drive in my pocket rocket. No chance, buddy! 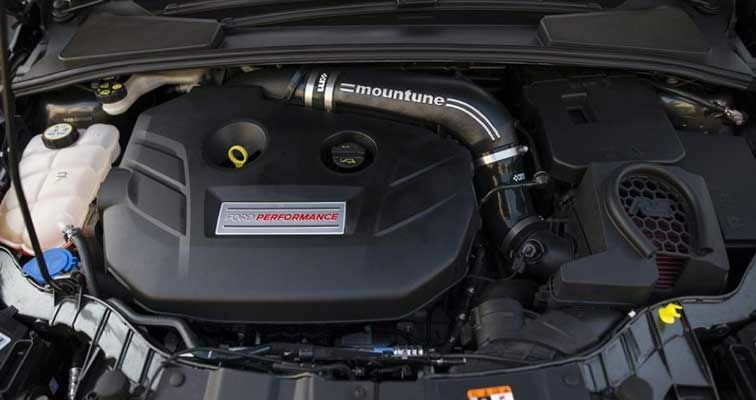 As I felt the stock power levels were good enough, I equipped the Focus RS with a Milltek CS exhaust and a Mountune high flow induction kit to make it sound better. The acceleration has perked up, but it’s our ears that are reaping its rewards. 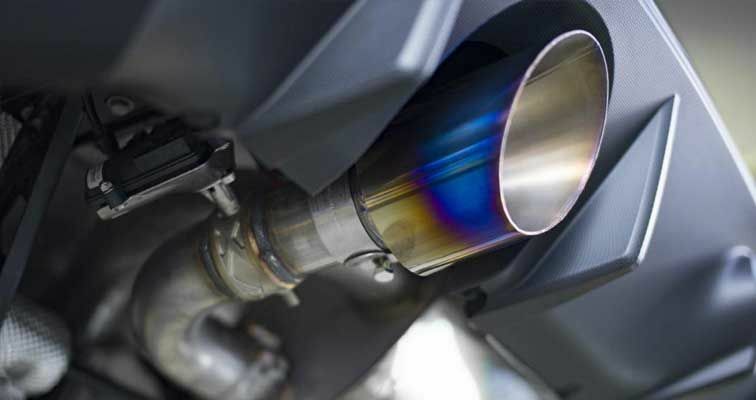 The Focus RS sounds truly raucous at full throttle now. I can’t wait to go back to the track with the new upgrades and test out the Focus RS. The Bridgestone RE003s gives me full confidence that I can use the chassis, power and suspension efficiently without wasteful understeer. I will bring the Focus RS back to Sydney Motorsport Park to check the improvements the modifications and new RE003s have made. It will also continue to be the test mule for H&R local Australian suspension tuning and parts testing, as Australian streets and tracks are very different to those in Europe. 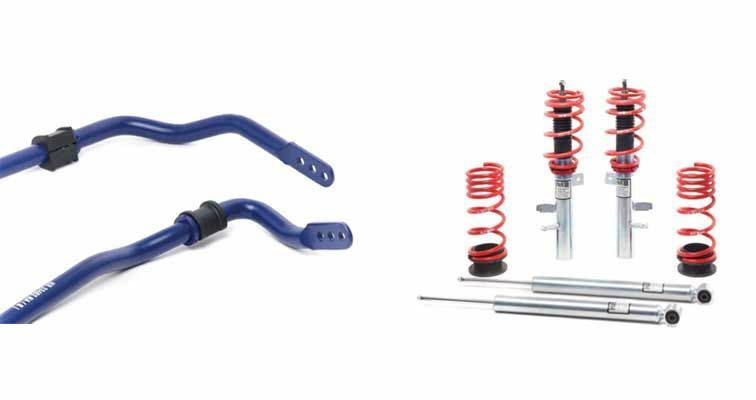 Stay tuned for other suspension mods such as I install the patented Triple C camber adjustment bolts and tinkering with our custom springs and shock valving. 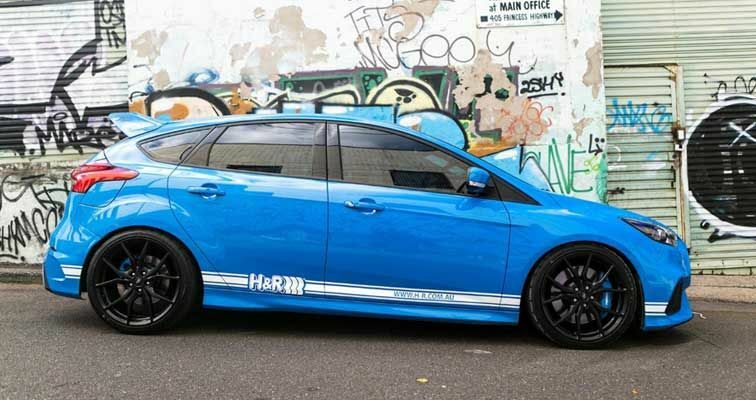 To follow Beau's H&R Ford Focus RS build, click here.